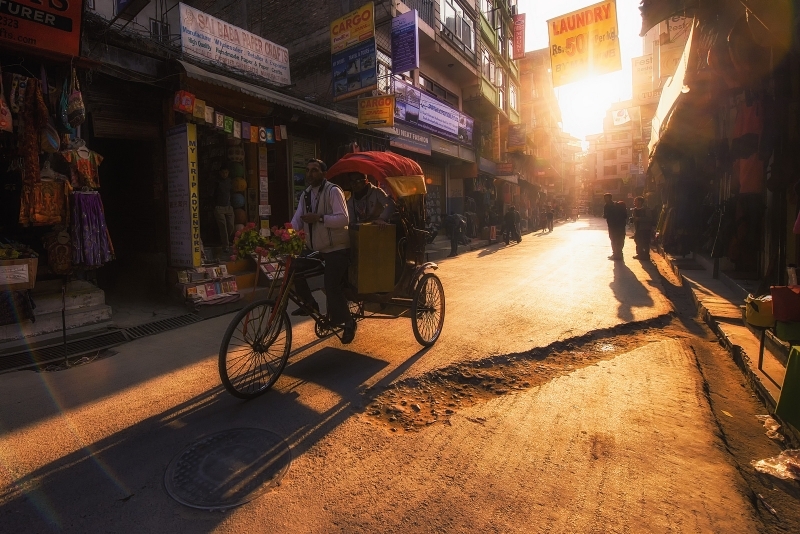 Make the best of your holiday with this handy Kathmandu itinerary! As one of the biggest base camp side for adventurous hikers seeking to climb Mount Everest, it’s no surprise Nepal brings to mind snow-capped mountains, crisp clean air and clear blue skies. 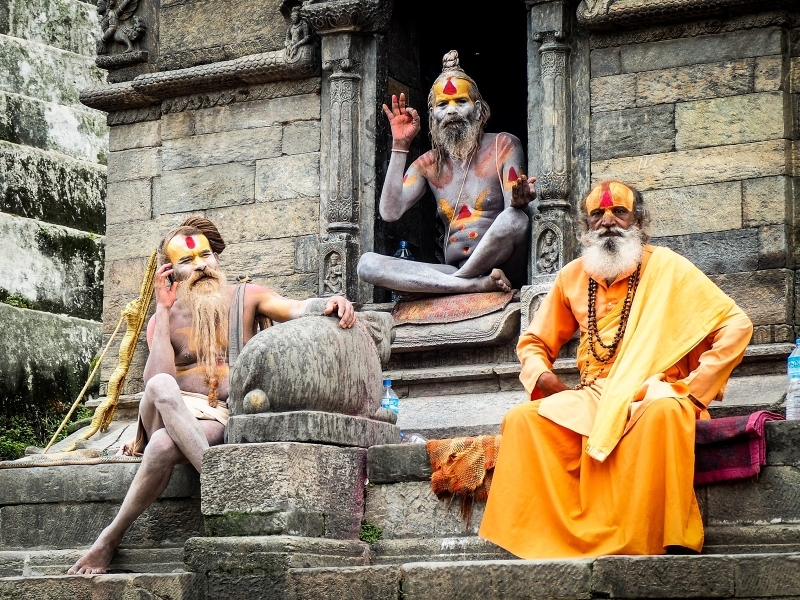 But beyond that, Nepal is also a historic and religious wonder that’s bustling with a vibrant culture. Kathmandu – the capital of Nepal – has and continues to be the centre of Nepal’s history, art, culture and economy. With its abundance of ancient temples and religious sites, it’s no wonder that it’s a popular tourist destination. There are seven UNESCO World Heritage Sites located here, a testament to just how many cultural treasures the country holds. Though many of the historic areas were damaged by the earthquake in 2015, repairs have been well underway and most of the sites have since been reconstructed, so there’s not much to hinder what would be a great holiday. Just to be clear, we do mean Kathmandu City rather than Kathmandu Valley, which is made of 3 whole cities on its own. No, this list is for the top 7 things to do in Kathmandu City. Before the Unification of Nepal, the country consisted of multiple small kingdoms, which Durbar Squares (which refer to spaces outside royal palaces) in Nepal are the most prominent remnants of. 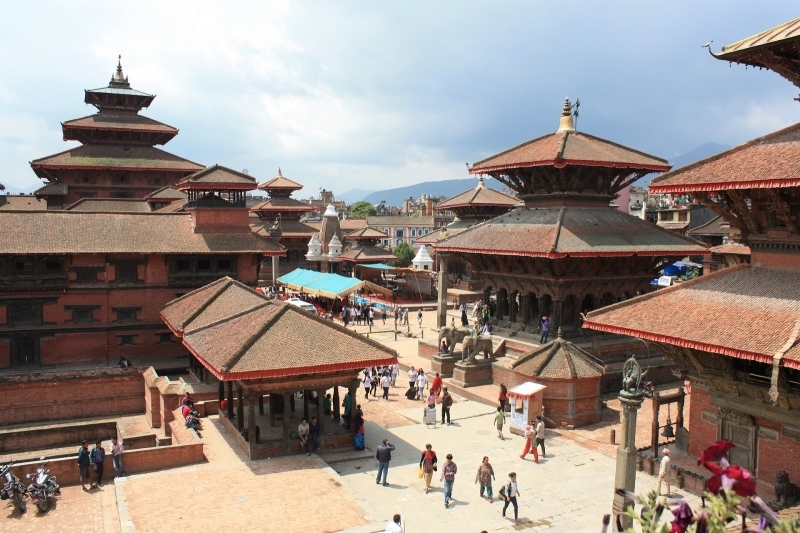 The particular Durbar Square in Kathmandu City is the site of the Hanuman Dhoka Palace Complex, the residence of Royal Nepalese up till the 19th Century. Visitors can feel free to visit the state rooms within the palace to catch a glimpse of history depicted in some of the elaborately-carved ornate windows and panels. Though several buildings have been reduced to rubble, the beauty of the square still remains. As you leave, make sure to weave through the tangle of narrow alleys and mazes that make up the Old City where you’ll discover shrines and statues hidden in the most unlikely of places! Also known as Kathmandu’s “Traveller’s ghetto”, Thamel is packed with guest houses and restaurants. Despite teeming with touristy shops, this district manages to retain its unique old-world feel with the rows of Tibetan prayer flags and cycle rickshaws. It is here where we recommend stuffing yourself silly with traditional Nepalese Momos – steamed stuffed dumplings that are filled with juicy umami goodness. Unique to Kathmandu are also dessert Momos, which are stuffed instead with milk solids and sugar. Of course, it’s impossible to leave Thamel without shopping. With a massive array of colourful shawls, thangka paintings, wood carvings and more, it’s the perfect place to grab all the souvenirs you want. Don’t forget to bargain! Next, head on over to the “Monkey Temple” Swayambhunath. This ancient religious architecture is Nepal’s famous Buddhist temple, in which Swayambhunath is the oldest stupa of its kind in Nepal. It’s a challenging climb to get to the top of the hill, but the panoramic view of Kathmandu Valley stretching below you is breathtaking, not to mention Instagram-worthy. Along the way, you’ll also realise the nickname “Monkey Temple” isn’t for nought. Hundreds of monkeys roam the temple grounds and the stairs below – do keep your belongings close to you for these cheeky apes are always up to no good! For a better experience, we do recommend going early in the morning on in the evening when it’s quietest, as tour groups tend to come after. The biggest religion in Nepal is Hinduism, so it’s no surprise that Pashupatinath is one of the most important religious sites in Asia. This sacred complex serves as a seat for Lord Shiva, and devotees across the world come to pay their respects during Maha Shivaratri. The place is filled with a mix of temples, spiritual monasteries known as ashrams, historic images and inscriptions, with painted sadhus from the Indian subcontinent walking around. Feel free to approach any one of the sadhus! They’re extremely friendly, and would happy to be photographed and give their blessings for a small fee. Ancient Hindu rituals are still practised here. When you enter the temple in the morning, you’ll get an eye-opening experience of life, death, birth and rebirth during the open-air cremation of bodies along the river bank. It is an incredibly sobering experience, especially as the last rites are read before the bodies are sent off. Even if you have no plans on climbing Mount Everest, there’s no reason to miss out on this once-in-a-lifetime experience. Adventure Mission Nepal offers an endless list of amazing adventures, but the most exciting one has to be the “Breakfast with Everest” tour. It’s everything you’d expect, and more. 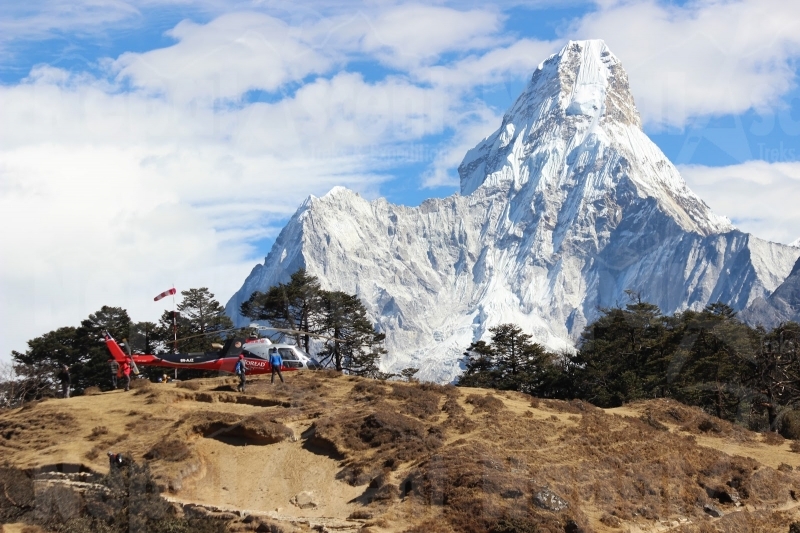 Sure, you’ll have breakfast in front of Mount Everest over at Yeti Resort, but you’ll also be getting there by a three to four hour round flight from Kathmandu in a helicopter! Experience some of the best views of the highest mountains on earth in close proximity from above, as well as breathtaking scenery of terraced fields. The flight and breakfast is definitely a memory to keep forever. Psst, it also comes with champagne. 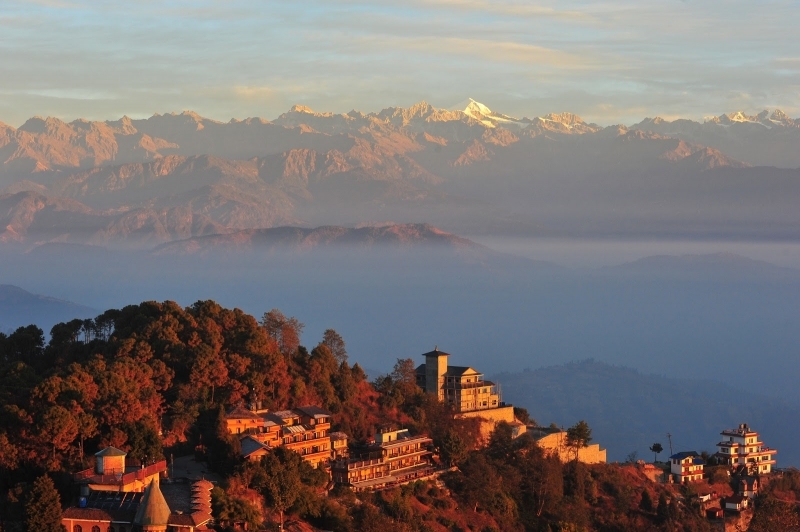 Located just a drive away from Kathmandu City, Nagarkot is a great day-trip option. Granted there’s not much to do there, but it is most definitely the best spot to revel in the beauty of the Himalayan views, sunrises and sunsets. It has the broadest possible view of the ridges, with eight ranges visible – Annapurna, Manaslu, Ganesh Himal, Langtang, Jugal, Rolwaling, Everest and Numbur. 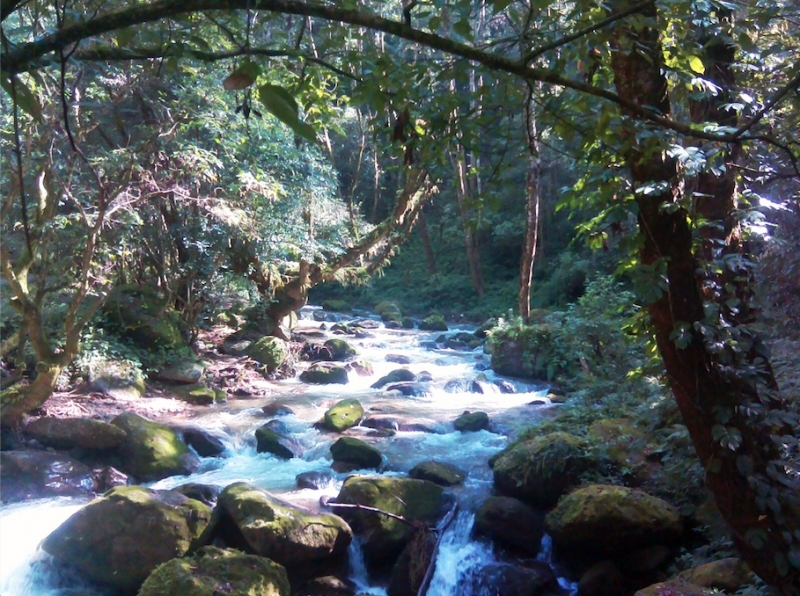 It’s also surrounded by lush forests, making it a great spot to unwind and relax at. The weather does border on being rather chilly though, so it’s best to bring along warm clothing. If you’re tired or worn out from visiting the tourist-filled hotspots, Shivapuri Nagarjun National Park offers a quiet respite away from the hustle and bustle. It’s the perfect place for a one-day hike, with trails leading past rich and gorgeous forests, vistas and summits to the top of Shivapuri Hill Station. As one of the last few remaining woodlands in the valley, it’s not uncommon to spot monkeys swinging around, though on occasion you might spot a passing bear or leopard. Birdwatching enthusiasts would also be delighted to know that the peak is one of the most popular spots to catch a glimpse of some of the native birds. 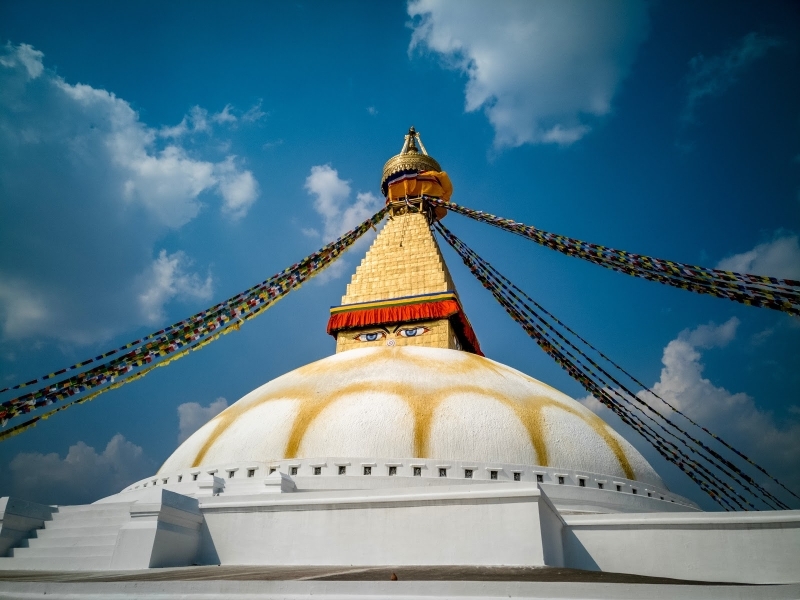 Kathmandu most certainly has no shortage of things to see and do, so what more do you need to add it to your travel bucket list?